Deck out your bikes, tune up the tires and get ready for our rolling celebration with local music and some rad moves at the skate park. I mean who can beat a BMX trick show and some community stations: What passion activates you? 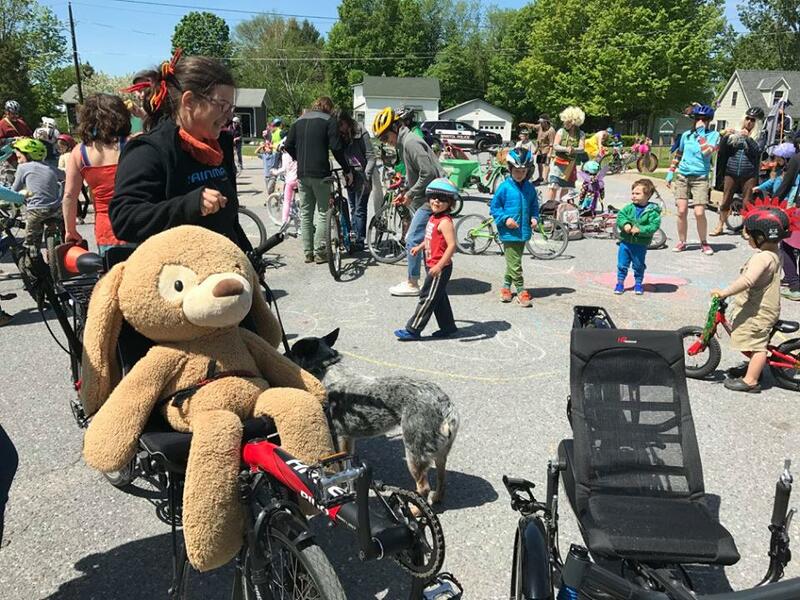 Free bike safety check ups by Frog Hollow Bikes and food by Almost Home Market and Savoure' Soda. 11-12:30 pm The Human Powered Parade! 12:30 - 2 Human Powered Party! Vendors will be selling local food, bike- powered goodies and gadgets and goodies to increase your non-petroleum mobility and fun! 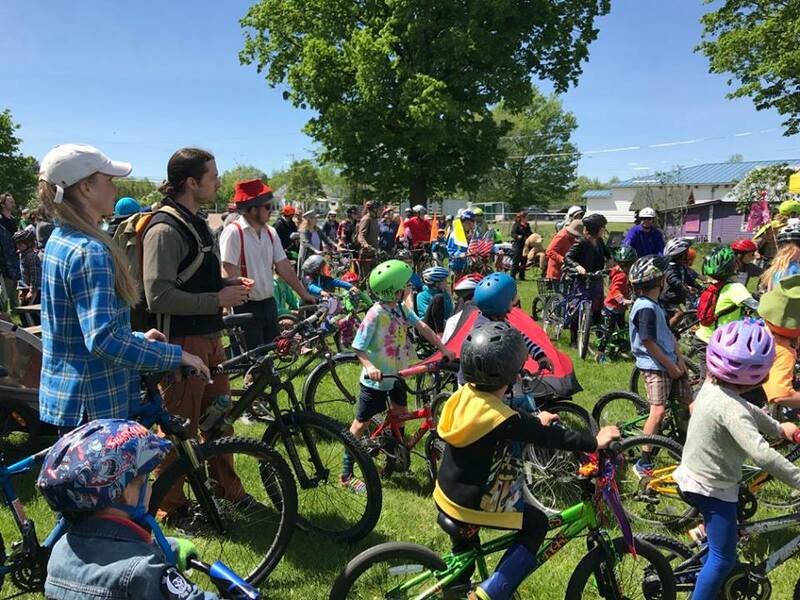 Music by funk and rock trio Band of the Land, Bike Powered Smoothies, test rides by RADInnovations, and time to learn some new tricks from KrusherBMX. 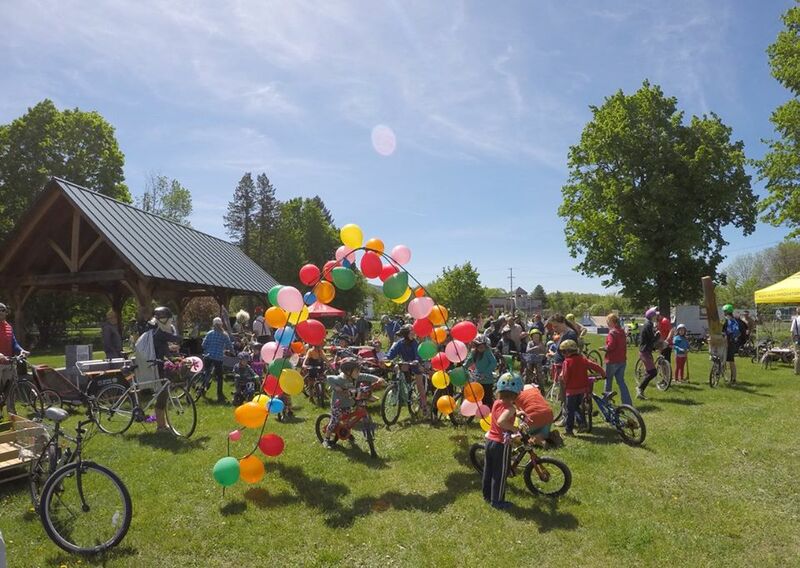 Donations collected go towards Safe Routes to Schools incentives in Addison County. Parade Pedalers Unite! Contact us!